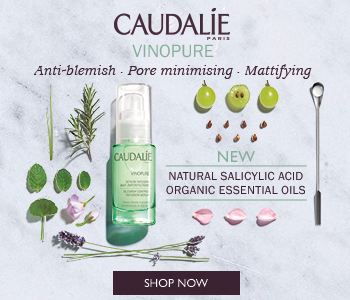 Detoxify your skin with the Caudalie range for purifying and mattifying, a collection of products for combination skin that work to balance and refine the skin. Oily skin, enlarged pores, and blemishes and reduced and regulated. Formulated with a maximum of active plants, including sage and flaxseed, Caudalie products for combination skin are suitable for even the most sensitive complexion.